Download the AURA Product Brochure! AURA Gas Controls innovative regulator products are the culmination of more than a century of analytical and gas management experience. Products are designed for use in the petrochemical, medical, pharmaceutical, fiber optics, and aerospace industries as well as for semiconductor, instrumentation, energy and systems integration applications. 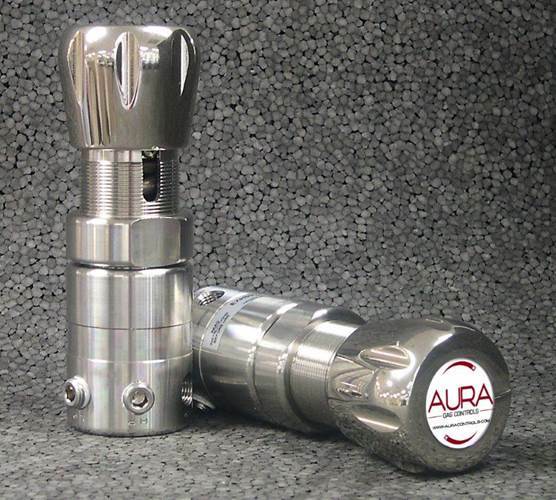 The AURA EXH supplies principle pressure control of gases and liquids in closed loop systems requiring delivery pressures as high as 4500 psig. The standard self-venting feature allows gas downstream to be safely relieved as the desired outlet pressure is decreased. The EXH is a reliable and flexible fit in applications such as test benches, process line surge protection and aerospace systems. © Copyright 2011 AURA Controls. 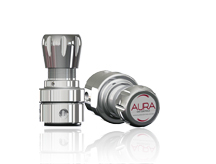 All material contained herein is the exclusive property of AURA Controls.